Go beyond debits and credits. In our program, you'll attend both business and accounting classes that hone your spreadsheet expertise, and give you the confidence to solve the financial needs of business or accounting firms. 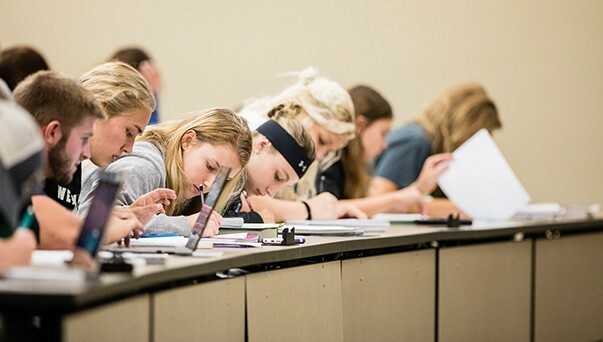 Come gain a solid foundation in accounting at DWU. Become a financial analyst with for-profit, nonprofit or governmental organizations. Oversee operations as an accounting manager with various institutions and businesses. Go further as a Certified Public Accountant, and pursue a variety of positions as an auditor, business consultant or tax adviser. Make yourself more marketable as an accountant. Select a unique minor, and improve possibilities for working in a specific industry you're passionate about. Criminal Justice - Be a forensic accountant for federal agencies. Your knowledge in accounting and criminal justice will help you crack financial crimes. Math - Work for an insurance firm as an actuary analyzing risk management. English or Communications - Improve your communication skills, and fill multiple roles for businesses. With writing and speaking experience, you'll be a strong asset for employers needing support with sales, financial analysis or client relation management roles. Check out the courses you'll complete on your way to receiving your accounting degree. Tailor fit your education to meet your goals! You have three ways to earn the 150 credits required to sit for the CPA exam. Want to graduate in four years? Combine summer courses and modest overloads during a few regular semesters. Planning to get your M.B.A.? 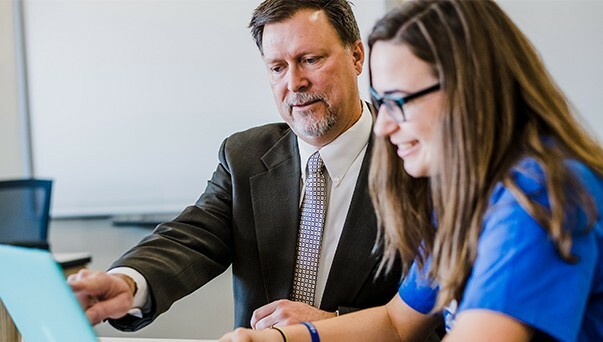 Our Master of Business Administration program would allow you to earn the 150 credits required to take the CPA exam while earning an advanced degree. Have a bit more time? If you'd like a more comfortable learning pace, you can add a fifth year of a full-time class to your schedule. Meet our accounting professors! 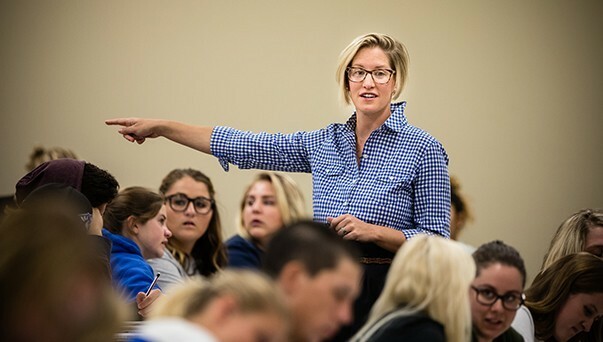 Our low student-to-teacher ratio offers valuable one-on-one interaction with professors who care about you and your work. Help people and companies reach their financial goals, whether they are on Main Street or Wall Street.